We provide bins with interlocking lids for Commercial Moves. Relocating your business or office requires expertise, proper planning, and a qualified moving company to complete the task on time and on budget. Quality Moving and Packing's professional Ottawa office relocation specialists have that experience and will meet with you to review your specific needs and scheduling, We help plan every detail of your move so you can get back to running your business. Quality Moving and Packing Ottawa is an industry leader in commercial relocation services including commercial moving, and office furniture. Our team of highly skilled and trained Ottawa movers professionals are committed to providing you with unsurpassed service. When you choose Quality Moving and Packing for all your Ottawa commercial relocation services and storage needs, you can be confident your job will come in on-time, in budget, and accurately. Quality Moving and Packing Ottawa has the equipment to execute your business's move and our movers are ready to meet the demands of your relocation, providing sufficient personnel to minimize downtime and get your office back to full operation quickly. All our Ottawa movers are provided with ongoing training, so you can feel confident that you have professional, skilled staff handling your assets. As professional Ottawa office movers, we cover every single step of your critical office move including planning and logistics, to packing and delivery. All of our dependable office Ottawa movers are given specialized training on best practices of how to properly wrap, pack, and move any item. When it comes to packing, our professional Ottawa packing services ensure the safe transportation of commercial valuables, which includes fortifying boxes, allowing them to support greater external pressure. 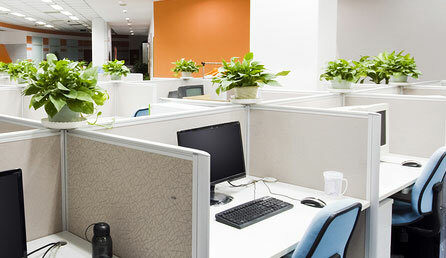 Office desks, office filing cabinets, network servers or artwork, we can and will move it all. At Quality Moving and Packing Ottawa we do office moving right.